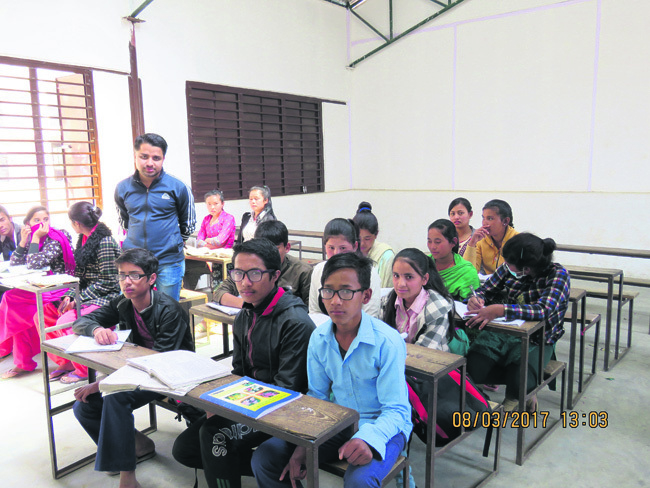 The 24th day of April 2015 was just another Friday for Bishnu Tamang, a sixth grade student in Shree Nawalpur Secondary School in Sindhupalchowk district. The closing bell rang and Bishnu headed home looking forward to Sunday to meet his friends at school again. On 25 April 2015, a violent 7.8-magnitude earthquake struck Nepal leaving several towns and villages in shambles. While the initial epicenter of the earthquake was in Gorkha district, the epicenter of the highest magnitude (6.7) aftershock was in Sindupalchowk making it one of the worst-affected districts in terms of human casualty and property loss. Shree Nawalpur Secondary School, lies in ward number 6 of Nawalpur VDC in Sindhupalchowk, 54 kilometers away from Kathmandu. In this ward alone, almost all the houses collapsed. 43 people, including the two students of the school lost their lives, while many were left wounded. The school, the oldest in Nawalpur VDC and with the highest enrolment of 468 students, was also completely damaged and was issued a red sticker by the government marking it unsafe for use. Bishnu visited his school one week after the earthquake. He was shattered by the sight. What used to be a 12-room school building was then a pile of rubble. “Had the earthquake struck on any other day than a Saturday, none of us would have survived,” Bishnu claimed. 35 days after the earthquake, the school reopened. 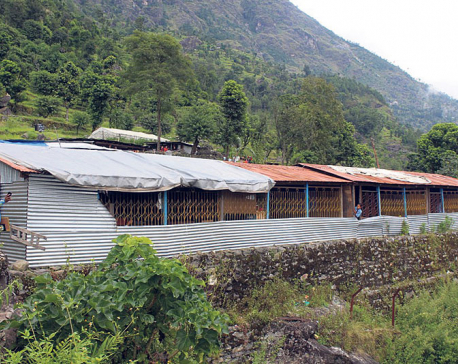 Bishnu along with the other students spent months under tarpaulin sheets as temporary classrooms. There were no desks or benches and the tarpaulin sheets did little to shield the students from the dust, rain and cold. With time, three government and private organizations came in to support the reconstruction of the school. 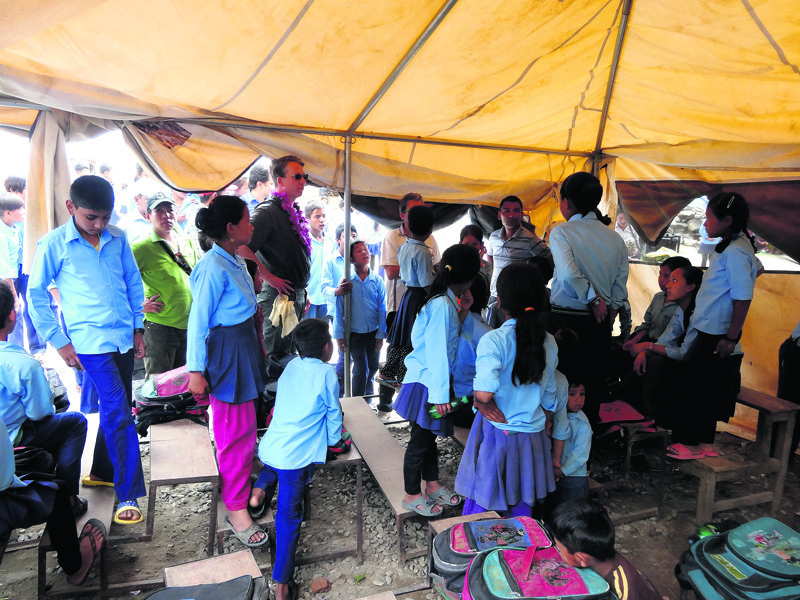 They were soon joined by WWF Nepal to help construct two earthquake-resistant school blocks. WWF Nepal came in touch with the school management through its Indrawati sub basin project in the same area. The foundation of the school blocks was laid in June 2016, and within a period of eight months, on 16 February 2017, Shree Nawalpur Secondary School got a new lease of life with its reconstructed school blocks. WWF provided financial support of USD 70,000 for constructing the two blocks. The funds were raised through individual contributions by WWF staff members intended originally for the welfare of staff from the Nepal office during the initial trying times of the earthquake. The Nepal staff however decided to utilize these funds on local communities that were harder hit by the earthquake, and Shree Nawalpur Secondary School was selected in the process. Bishnu is elated and thankful for the new additions to his school. He feels he no longer has to worry about the dust or weather and can now focus better on his preparations for the District Level Exam. He aims to become a principal of the same school in the future and wants to make it the best school in Sindhupalchowk. “We cannot be happier to see the newly constructed building. This is by far the best school building in entire Nawalpur VDC,” says Majhi Tamang, principal of Nawalpur Secondary School, adding that some students walk for four hours to just come to study in the school. However, despite the progress in infrastructure, the school still awaits proper facility for library, computer and science lab etc. 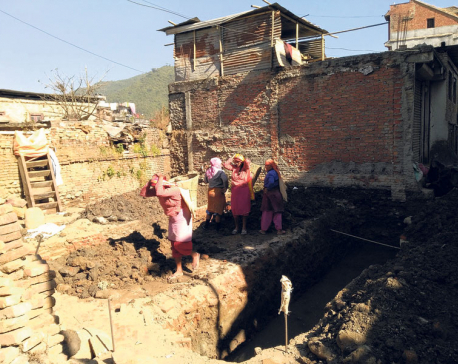 “But with the pace in which the government is taking the rebuilding work forward, these amenities still seem a faraway dream,” concluded principal Tamang. The writer is a senior commu-nications officer at WWF, Nepal.